Slice the cucumber, cherry tomatoes, feta, and onion. 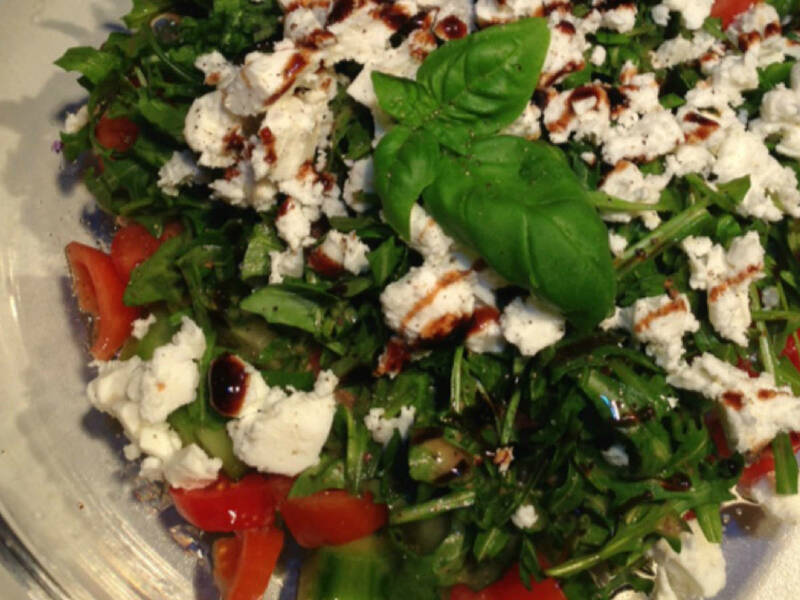 Transfer to a bowl together with the arugula and fresh basil. For the dressing, pour olive oil and balsamic vinegar into an airtight container and give it a good shake. Pour the dressing over the salad, season with salt and pepper, and enjoy!